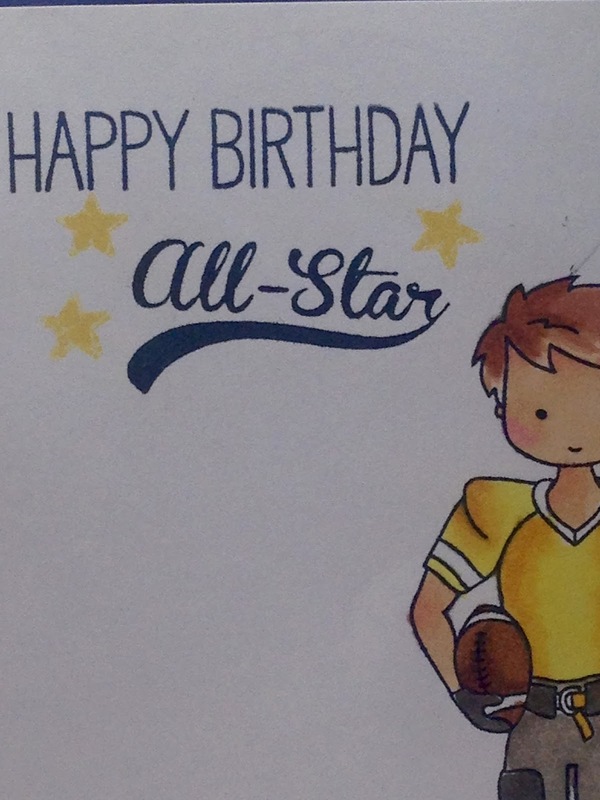 Amy's Creative Pursuits: A Birthday Card for an All-Star! Here's a simple card I made for a teen boy that loves sports....what else? I kept it clean and simple by stamping my images directly onto the white card stock base. The main image and "All Star" sentiment are from Taylored Expressions "Brady". 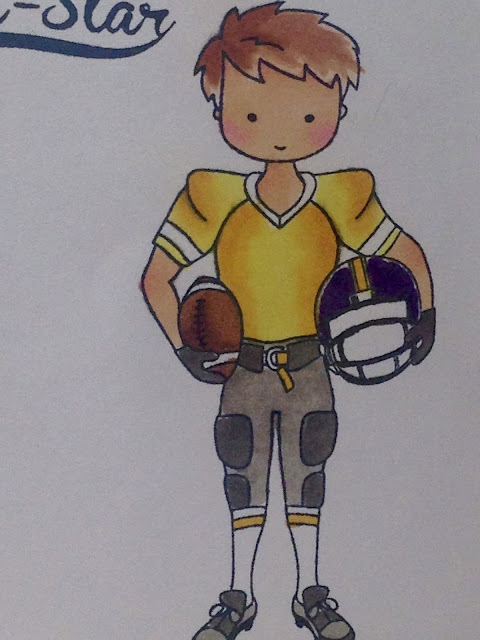 I colored the image in using the boy's own high school colors. I also colored in a mound of grass. The "Happy Birthday" sentiment is from MFT and the stars stamped in yellow are from another sports set I own. I adhered the white panel to a Concord Crush card base. 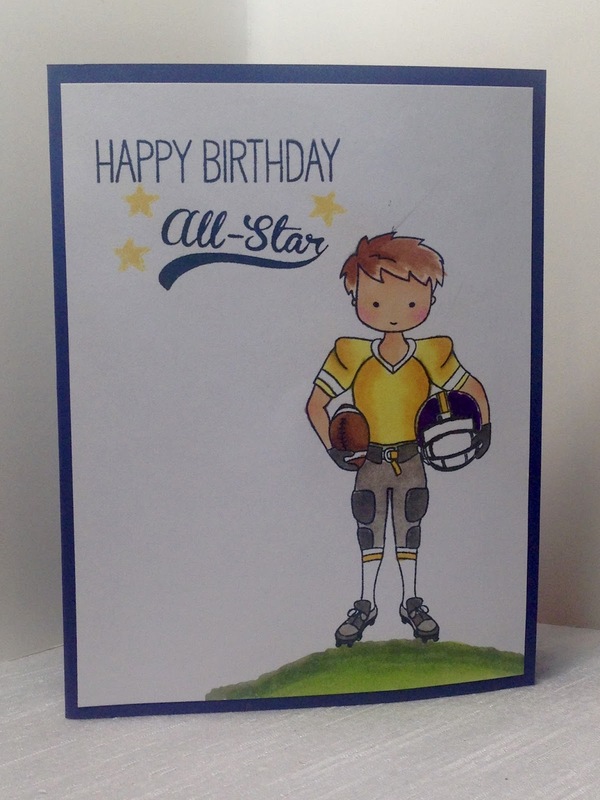 Fabulous boy's card, nice work ! This is such a great idea for a birthday card. My youngest teenage son is also very into sports. I will have to try this for his birthday in August. I might need to start practicing my drawing skills now so that I am ready in August. Thanks for sharing. Your card looks fantastic. This is so adorable! It came out perfect! Love the colors! Another great masculine card! 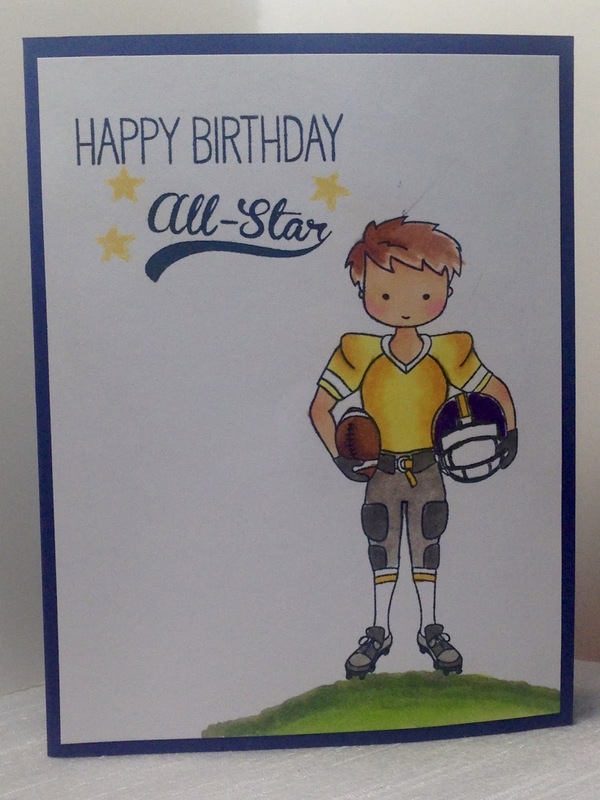 Love the colors, and great idea to stamp the stars around the sentiment!